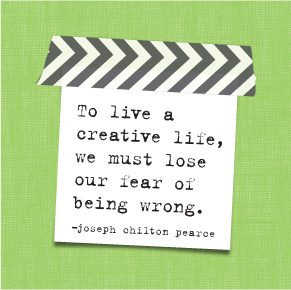 Welcome back & happy new year! We're ready to make 2017 your most productive and creative year yet, and also your most...healthy! This week on the blog we are going to featuring projects members of our Design Team created with a fitness theme in mind! Our new MINI fitness planners have begun, and this week we want to motivate you to have FUN documenting your fitness journey and inspire you with a bunch of different ways to do it! 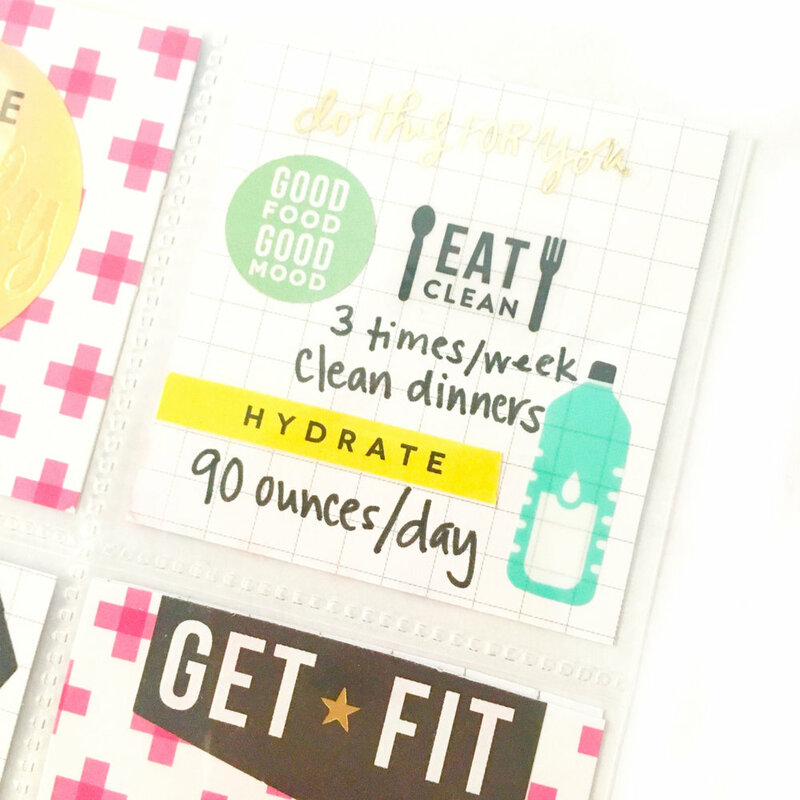 Today we're sharing a 2017 fitness goals dashboard mambi Design Team member Gretchen Klobucar (IG | blog) created in her MINI fitness planner using trimmed down CLASSIC-sized Happy Planner® page protectors. "I wanted a vision board for my 2017 mini Fitness Happy Planner®. However, it was VERY important to me that my fitness goals be OFF THE SCALE goals, and ask the question: 'What health achievements were important to me and had nothing to do with the number staring back on the scale?'" "I started by trimming down some 3x4 Pocket Pages™ Cards to fit the 2x2 slots in the new mini page protectors. 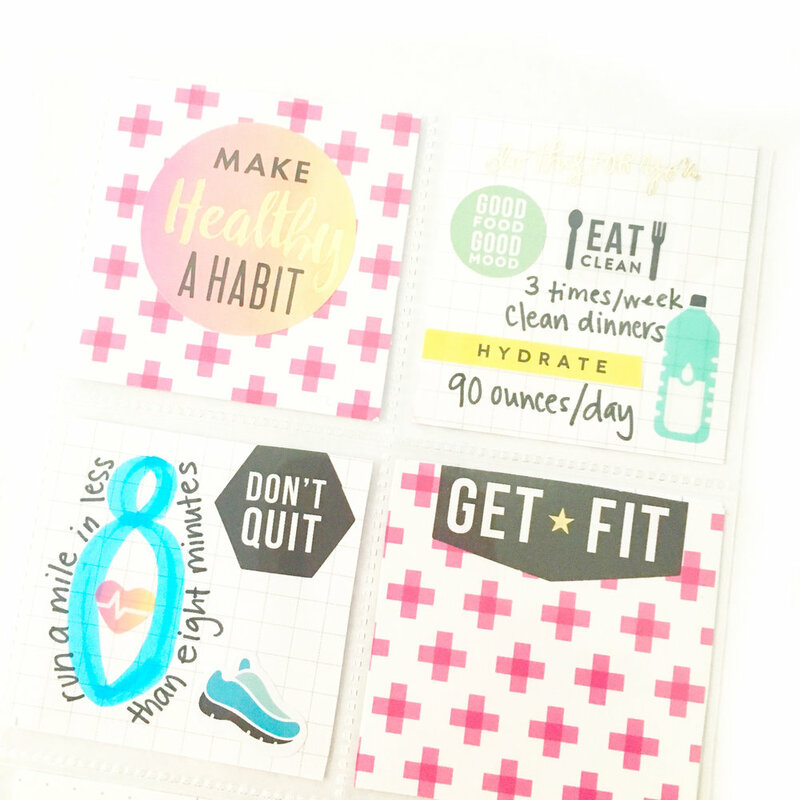 I added fitness stickers from the new 'Fitness' Happy Planner™ sticker value pack and some clear stickers from the original fitness sticker pack. I then recorded my goals in visually appealing ways that will inspire me year round. 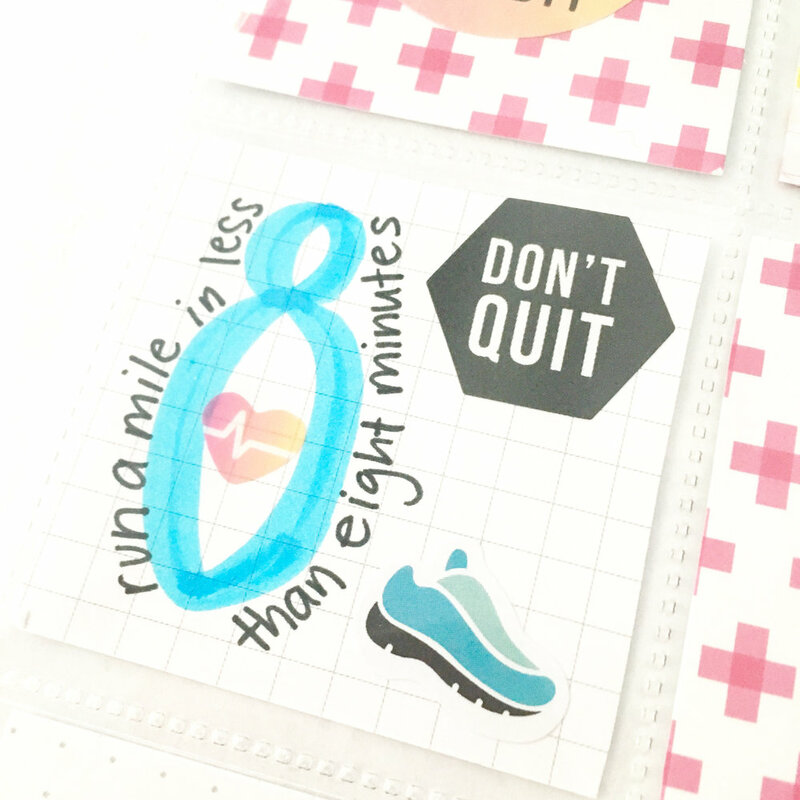 On the back of main 3x4 card, I placed a sticker that will allow me to track when I accomplish each goal. 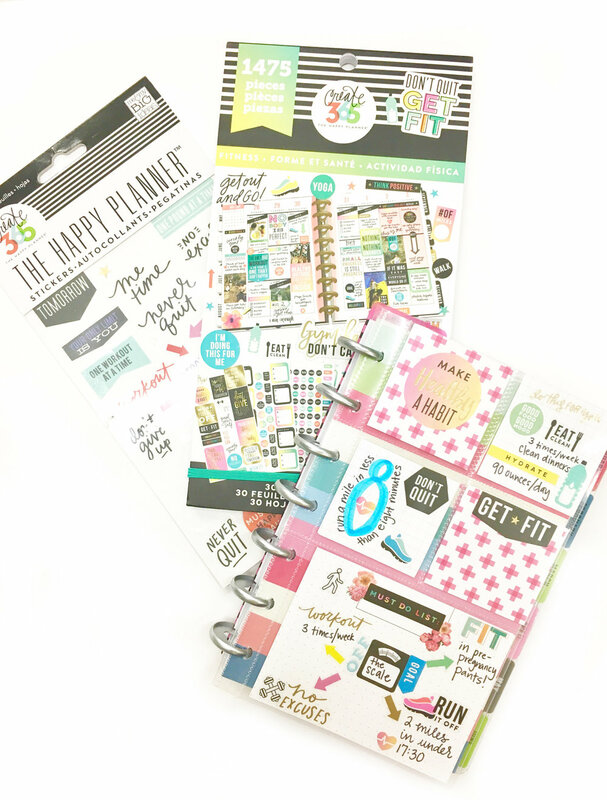 It's the perfect mix of pretty and functional Happy Planning™!" "I also don't normally endorse the word 'hustle,' but it makes sense in terms of my fitness goals, so I also added the pink mini dashboard that reads 'hustle hard' for my planner. Finally, I added a cutout sticker of 'BETTER' from a BIG mambiSTICKS™ pack for the January dashboard. This really gets at my 'progress not perfection' approach to next year's fitness goals."